John Romita is the son of John Romita, Sr., the co-creator of several notable Spider-Man stories in the 1960s and 1970s. He began his career at Marvel UK, doing sketches for covers of reprints. His American debut was with a six page story entitled Chaos at the Coffee Bean! in Amazing Spider-Man Annual #11 (1977). Romita's early popularity was based on his run on Iron Man with writer David Michelinie and artist Bob Layton which began in 1978. In the early 1980s, he had his first regular run on the Amazing Spider-Man series and also was the artist for the launch of the Dazzler series. Working with writer Roger Stern on Spider-Man he co created the character Hobgoblin and he drew an issue in which Spider-Man would encounter the Juggernaut where the villain would end up trapped in cement foundations. From 1983 to 1986 he had a run on Uncanny X-Men with Dan Green and author Chris Claremont which brought him immense popularity, as the X-Men had become a huge industry phenomenon by that time. He would return for a second very successful run on Uncanny X-Men in 1993. In the late 1980s and early 1990s, Romita enjoyed an acclaimed stint on Daredevil with writer Ann Nocenti and Eisner Award-winning inker Al Williamson, noted for its creation of long-running Daredevil nemesis Typhoid Mary. Working on Daredevil, Romita defined his style and left behind every uncertainty which was still present in the X-Men pages. Romita later collaborated with Frank Miller on a Daredevil origin story entitled Daredevil: The Man Without Fear, considered to be a companion of sorts to Miller's Batman: Year One tale. Romita worked on a host of Marvel titles during the 1990s, including The Punisher War Zone, the Cable mini-series, The Mighty Thor, a return to Iron Man for the second Armor War written by John Byrne, and the Punisher/Batman cross-over. In the 2000s, Romita again came to prominence for his second run illustrating The Amazing Spider-Man for writer J. Michael Straczynski. He drew Marvel's Wolverine with author Mark Millar as part of the character's thirtieth-anniversary celebration. In 2004, Romita's creator-owned project The Grey Area was published by Image Comics. Romita's art has since appeared in Black Panther, The Sentry and Ultimate Vision, a back up story featured in the Ultimate line, written by author Mark Millar. As of 2006, Romita is currently collaborating with writer Neil Gaiman on the reinterpretation of Jack Kirby's The Eternals. Upon completion of The Eternals, Romita will be working on Marvel's 2007 crossover event, World War Hulk. Contest of Champions #1-3 (1982). The first Marvel mini-series, featuring most of the Marvel superheroes of the time. Cable: Blood and Metal #1-2 (1992). 2-issue mini-series. Daredevil: Man Without Fear #1-5 (1993-94). 5-issue mini-series with writer Frank Miller. Spider-Man: The Lost Years #1-3 & 0 (1995). 3-issue miniseries, plus a #0 issue. Peter Parker: Spider-Man Vol.2 #75-76, 78-84, 86-92, 94-95, 97-98 & Vol.3 #1-3, 6-12, 14-17, 19 (1996-2000). Please note: After Vol.2 #98 (end of "The Final chapter" storyline) the series was renumbered and relaunched, and the next issue published as Peter Parker Spider-Man Vol.3 #1. Thorion of the New Asgods #1 (1997). Part of the second wave of the "Amalgam" comics published jointly by Marvel & DC, featuring mixed characters of both universes. Thorion was a mix of Thor and Orion. WORLD WAR HULK #5 - SIGNED BY ARTIST JOHN ROMITA JR.! Amazing Spider-Man Vol.2 #22-28, 30-58 & Vol.1 #500-508 (2000-2004). Please note: After issue Vol.2 #58, the series was renumbered, and the next issue was published as Amazing Spider-Man Vol.1 #500. Hulk Vol.2 #24-25, 27-28, 34-39 (2001-2002). With writers Paul Jenkins (#24-25, 27-28) and Bruce Jones (#34-39). The Grey Area #1-3 (Image Comics, 2004). 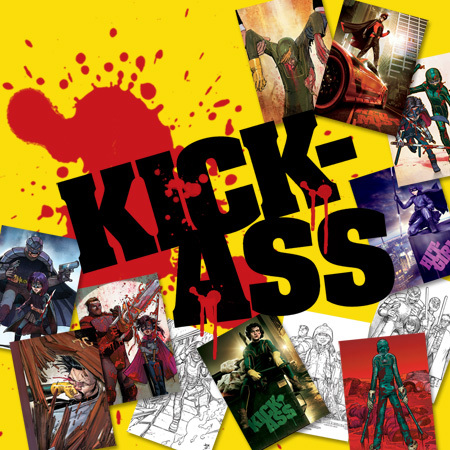 Creator-owned 3-issue miniseries with writer Glen Brunswick. Ultimate Vision (2005) 6-part story with writer Mark Millar, running as a 4-page backup flip-book feature in the three Ultimate titles of november and december. Black Panther Vol.3 #1-6 (2005). 6-issue story arc "Who is the Black Panther". Sentry Vol.2 #1-8 (2005-2006). 8-issue miniseries with writer Paul Jenkins. Eternals #1-7 (2006). With writer Neil Gaiman. World War Hulk(announced for 2007).With writer Greg Pak. Note: All the comic-books published by Marvel Comics, except The Gray Area (by Image Comics), Thorion of the new Asgods (by the Amalgam Comics imprint, co-published by Marvel and DC) and Batman / Punisher (co-published by Marvel and DC).